The 2017 season Cheer competition schedule has been released. Click here to view it. The Pendleton High School competition cheer team will be doing a showcase on Tuesday, September 27th at 5:15 at the PHS field house. Come support your Bulldogs! 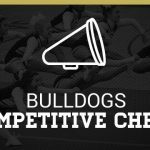 The Pendleton Bulldogs Competition cheerleading schedule has been released for the Fall 2016 season. 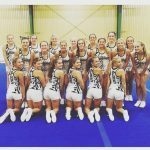 Check out the schedule here and support our cheerleaders! 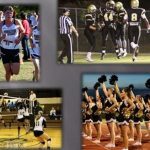 Multiple Teams · Aug 11 Meet the Bulldogs! Come to Cunningham Stadium on Thursday, August 18th at 7:00pm to meet our coaches and athletes. Athletes from the Football team, Girls’ Golf team, Volleyball team, Cross Country teams, and Cheerleaders will be signing autographs. While at Cunningham Stadium, you’ll be able to enjoy performances from the Cheerleaders, Pride of Pendleton Marching Band, and ROTC.